Dealing with pet stains in your home? Call the pet urine specialists of Tampa FL at Chem-Dry of Tampa. We have an amazing pet urine removal treatment called P.U.R.T. It's designed to get rid of unsightly pet stains and odors. PURT is not an enzyme treatment. It's a revolutionary odor eliminator. Using oxygen and Chem-Dry's patented odor entrapment technology PURT destroys pet urine odors at the molecular level without smelling up your home. Pet urine is one of the most difficult things to eliminate. Once it dries it crystallizes.Those crystals absorb moisture from the air and start to off gas ammonia. In Tampa FL we have a lot of humidity. Notice on humid or rainy days you can smell the urine more? That's because the urine crystals absorb moisture from the air and release ammonia. Cleaning dried pet urine in the carpet with a liquid cleaner can smell even worse because adding moisture release more ammonia. Our PURT service removes 99.9% of the urine in the carpet. 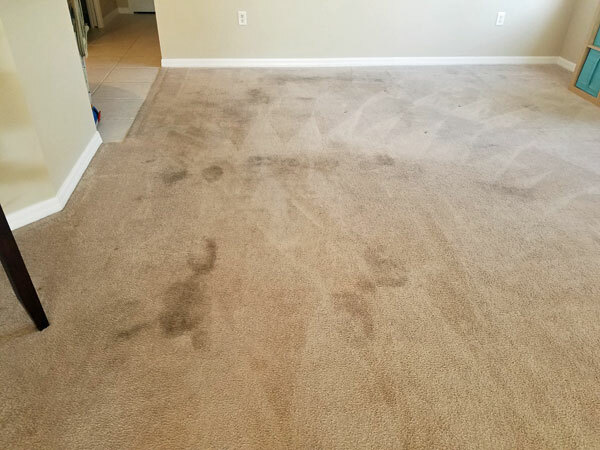 It also remove 99.2% of the bacteria associated with urine in the carpet when cleaned with our hot carbonated extraction process along with a carpet sanitizer. Our pet urine specialists can remove the stain, smell, and bacteria in one visit to your home. Be careful of other pet urine treatments that us soaps and surfactants that can leave your carpet with dark stains that only highlight the urine spots. 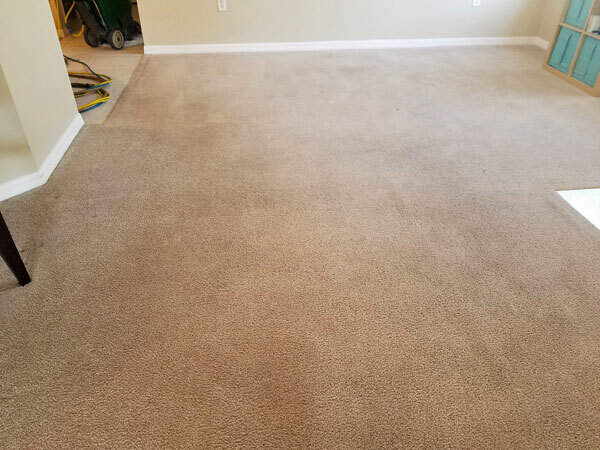 In the pictures above a customer used a soapy carpet cleaner to remove urine spots that ultimately left dark stains and left the urine smell behind. In Tampa FL call the pet urine specialist, Chem-Dry of Tampa.